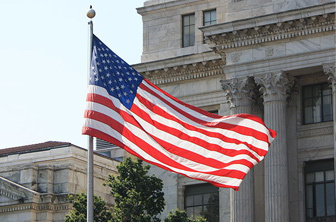 You Should Know Your Rights With Respect to Your Massachusetts Auto Accident Injury Claim. Our Boston Lawyers Have Recovered Millions of Dollars in Damages For Massachusetts Car Accident Victims and Their Families. Call Today at 617-787-3700 or Email Us at info@gilhoylaw.com. The expert and highly skilled Boston car accident attorneys at our Boston, MA law firm have over 25 years of experience in settling complex car accident claims and obtaining high settlement amounts for our Massachusetts clients. Unfortunately, Massachusetts car accidents are a common, everyday occurrence and Massachusetts car accident victims suffer a variety of injuries. Some Massachusetts car accidents only result in temporary, more minor injuries to the victim, such as soft-tissue back or neck injuries. In more serious Massachusetts car accidents, however, a victim may endure life-long injuries that can be debilitating or life-threatening, such as traumatic head injuries. In the most extreme and devastating Massachusetts car accidents, a Massachusetts wrongful death will occur. The grief that the victim’s family will have is devastating. The Massachusetts car accident attorneys at our Boston, MA law office feel that it is our duty to fight to recover fair and just compensation for Massachusetts car accident victims and their families who have sustained great losses through no fault of their own. Depending on the severity of the injuries of a Massachusetts car accident victim, there are a number of damages to which he or she may be entitled. If a Massachusetts wrongful death took place, the family of the Massachusetts car accident victim will be entitled to damages on the decedent’s behalf. Our Massachusetts car accident attorneys will also fight to recover medical expense and lost wages, in addition to money damages for loss of consortium and pain and suffering. We are not content with our handling of a client’s case unless the client is fully and fairly compensated for the emotional and physical injuries that were sustained as a result of the Massachusetts car accident. 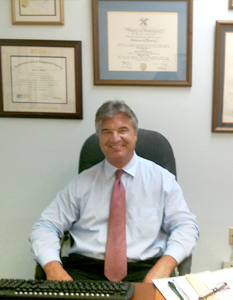 Our Massachusetts car accident attorneys seek to always provide our clients with outstanding legal representation. We have a reputation for being among the very best Massachusetts car accident attorneys. The Boston Globe has recognized some of our attorneys as Boston’s Best Lawyers, and Boston Magazine has recognized a number of our lawyers as Massachusetts Super Lawyers and New England Super Lawyers. Secondly, we strive to always provide our clients with excellent client service. Our Massachusetts car accident attorneys make it a priority to respond quickly and effectively to client inquiries and all client phone calls. 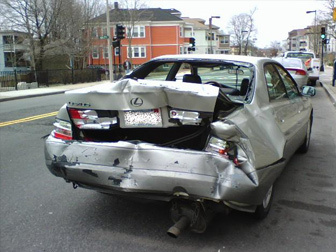 Our Massachusetts car accident clients are copied on all correspondence. We always thoroughly consult with our clients before making a decision on the best way to proceed with their cases. 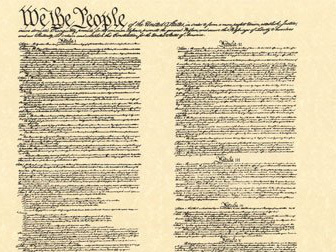 Our Massachusetts attorneys do not take any action on a case without the fully-informed consent of our clients. In Massachusetts, there is a statute of limitations that limits the amount of time that a Massachusetts car accident victim has to make a claim. It is, therefore, critical that one of our skilled Massachusetts car accident attorneys is contacted immediately following your or your loved one’s Massachusetts car accident to ensure that all evidence is preserved and no filing deadlines are missed. If you or a loved one has been injured or killed because of a Massachusetts car accident, please call our experienced, expert Boston car accident lawyers or expert Boston wrongful death lawyers today at the Law Offices of Gilbert R. Hoy, Jr. and Affiliates at 617-787-3700 or email us at info@gilhoylaw.com. Your needs are our top priority! Our Boston Car Accident Lawyers Will Vindicate All of Your Rights Regarding Your Massachusetts Car Accident Injury Claim. If you have been injured in a Massachusetts car accident, a Massachusetts truck accident, a Massachusetts tractor trailer accident, a Massachusetts motorcycle accident, a Massachusetts ATV accident or another type of Massachusetts motor vehicle accident, you need to know what your rights are. Whether you were injured as a Massachusetts driver, passenger or a pedestrian as a result of someone else’s negligence, you may be entitled to recover monetary compensation for your pain and suffering, payment or reimbursement for your past and future medical expenses, and payment for your lost wages. Let our expert team of Boston, MA auto accident attorneys handle this process for you. Our Boston car accident lawyers will help to ensure that your expenses are covered and paid for and that you receive just and fair monetary compensation for your pain and suffering. Protecting your legal rights is of the utmost importance when you are the victim of a Massachusetts auto accident. Our highly qualified and experienced team of Boston, MA motor vehicle injury lawyers will help you understand your rights. 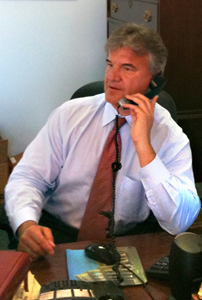 Our Massachusetts car accident attorneys will work tirelessly to get you the highest compensation possible. Due to the Massachusetts Statute of Limitations governing all motor vehicle accidents in Massachusetts, immediate action is necessary to preserve all of your rights and receive full compensation for your injuries. So please call the Boston, MA Law Offices of Gilbert R. Hoy, Jr. and Affiliates today at (617) 787-3700 or email us at info@gilhoylaw.com to speak with an expert Boston, MA auto accident attorney, discuss your options, and arrange to set up your case review. At the very least, you will receive free legal advice from a Massachusetts professional car accident lawyer with years of experience in Massachusetts auto accident claims. We will come to your home or the hospital if that is more convenient for you. Call our Boston injury attorneys 24 hours a day, seven days a week. Being a victim of a Massachusetts car accident is scary; let us help guide you through this difficult time, defend your rights and fight to get you the compensation you deserve. and discuss the steps moving forward to ensure that your settlement is just and fair. Our Massachusetts Car Accident Lawyers Will Get Your Medical Bills Paid. If you were injured in a Massachusetts car accident, you may need surgery, rehabilitation, physical therapy or psychological counseling. Because Massachusetts is a no fault state with regards to Massachusetts car accidents, your medical bills will be paid regardless of whether or not you caused the Massachusetts accident. The first $2,000.00 in medical and hospital bills is generally submitted to and paid by the Massachusetts Personal Injury Protection (PIP) insurance carrier of the car you were in as a driver or passenger, or hit by if you were a pedestrian. If you have private health care insurance, Massachusetts law requires that medical bills exceeding $2,000.00 be first submitted to your private health care provider for payment. If you do not have private health insurance, or if your health care insurance company refuses to pay your medical bills, you may still be entitled to up to a total of $8,000.00 in PIP payments for medical coverage. 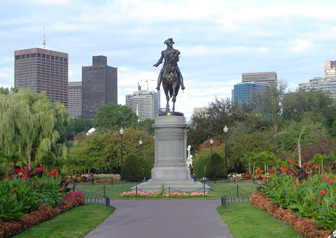 Our Boston, MA car accident lawyers recognize that these payment schedules are complex and confusing. The best way to deal with these complexities and ensure that you receive full compensation is to hire an experienced Massachusetts personal injury lawyer specializing in Massachusetts motor vehicle accidents. The Massachusetts auto accident injury attorneys at the Boston, MA Law Offices of Gilbert R. Hoy, Jr. and Affiliates will keep track of your medical bills and make sure that they are submitted to the appropriate places for payment. 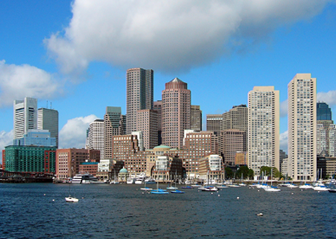 Our Boston Car Accident Lawyers Will Get You Compensation For Your Lost Wages. The same Massachusetts insurance company that pays your medical bills will also pay for any lost wages you incurred as a result of your inability to work. If your injuries prevent you from working, you may be entitled to collect 75% of your lost wages, based on your average weekly wage, from the Massachusetts PIP insurance carrier, up to a total of $8,000.00. You may also seek compensation for lost earning capacity due to permanent injuries arising from the Massachusetts auto accident. The Most Significant Amount of Compensation is For Your Massachusetts Bodily Injuries and the Wrongful Death of A Loved One. Let Our Expert Boston Wrongful Death Attorneys Help You. Under Massachusetts law, if you have incurred more than $2,000.00 in medical bills, sustained a Massachusetts bone fracture or permanent Massachusetts disfigurement, lost all or part of a body member, or lost your sight or hearing, you may be entitled to compensation for your injuries. You may receive compensation for your pain and suffering, your scarring or disfigurement, and your permanent or partial disability. Compensation can also be sought for Massachusetts wrongful deaths that occurred as a result of another driver’s negligence. Our Boston wrongful death lawyers can help you achieve justice for the death of a loved one. 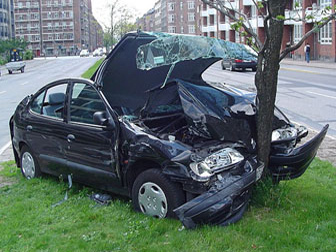 Our Boston Auto Accident Lawyers Can Help When There is Inadequate Insurance. If the negligent Massachusetts driver does not have insurance, or has insufficient insurance, to fully cover you for your damages, you may be entitled to collect what is called uninsured or underinsured coverage from your own Massachusetts automobile insurance policy or a family member’s automobile insurance policy. Don’t give up just because the other driver lacks insurance. Our dedicated Boston auto accident lawyers will work with your Massachusetts insurance company to find every available way to help you recover the money damages you need and deserve. You can also seek compensation for car rental expenses as well as vehicle damage. Please contact our Boston, MA personal injury law office now to schedule a confidential meeting to discuss your Massachusetts personal injury case at (617) 787-3700 or email us at info@gilhoylaw.com. Our Boston, MA Car Accident Lawyers Have Recovered Millions of Dollars For Massachusetts Auto Accident Victims For Their Massachusetts Auto Accident Injury Claims. Call Our Boston Law Office 24/7 at 617-787-3700. Your Needs Are Our Top Priority!